Insufflation is defined as blowing air into body cavity. 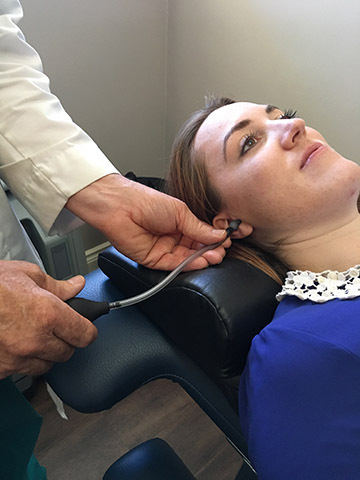 Ear Insufflation is rapidly growing in popularity as a form of drug-free treatment for improving headaches and migraines as well as other sinus, ear, and brain related ailments. Under the guidance of Broadview’s professionals, ear insufflation is safe, non-invasive, and provides quick results. Chronic headaches and migraines can be debilitating conditions for patients, having large negative effects on one’s quality of life. The pain at times can be unbearable, but fast relief is possible. We use this technique to mainly treat headaches using small puffs of air applied to the ear drum, resulting in the rapid relief of migraine and headache symptoms. The procedure is simple, fast, and easily repeatable.